It was something of a sensational day yesterday down on the Nith with the Stovies. The sunshine we craved may not have appeared, but the crowds came anyways. 14 boats left Carsethorn, and all but two made it to the finishing post – and to the site of the salt cows final resting place. 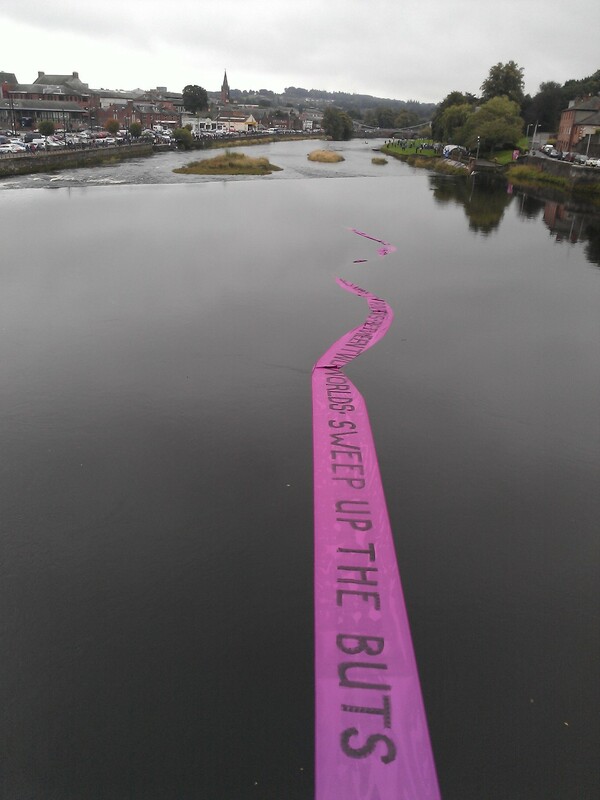 Meanwhile, parades gathered force through the streets of Dumfries lead by a feverish Samba band, and banners unfurled off the Devorgilla bridge and down over the caul. Banner themed images reflect the end of the project I’ve had the most involvement in. It has been nothing short of epic. An amazing congratulations to all organisers and those involved! And a quick post for today – for those of you book lovers, the Wigtown Book Festival begins next Friday 27th September and runs for ten days until the 6th of October. 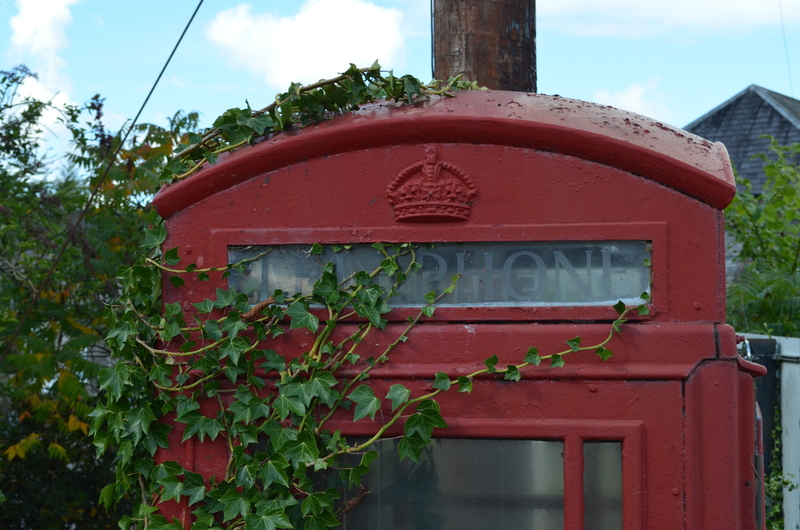 I am told to expect Wigtown to transform from peaceful, sleepy town to happening cultural centre – it’s an opportunity to meet the people behind the books, find new and unexpected treasures and … catch up with some phone boxes. 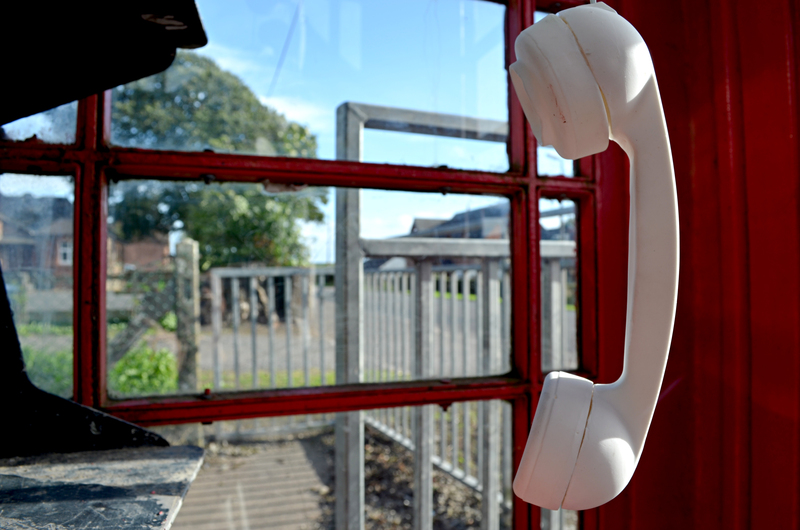 Voices from the Phone Box is on the move, and will be unpacking in Wigtown at the end of this week. 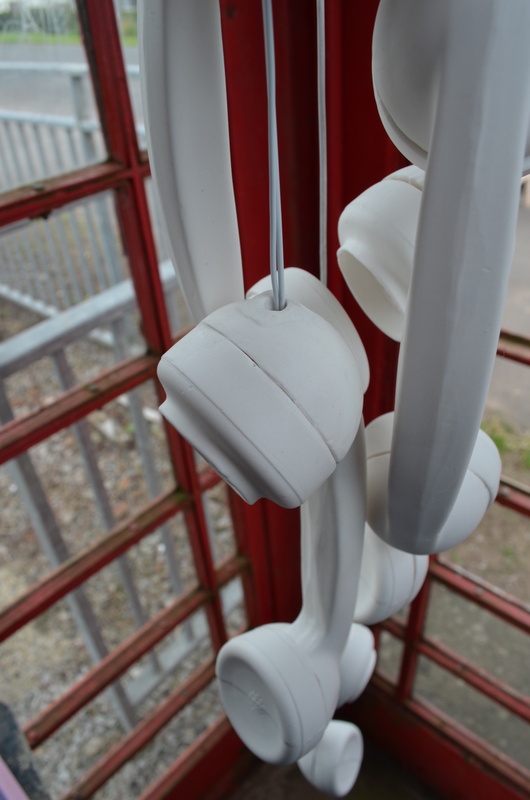 Unexpected sites in and around Wigtown will become the home for my ceramic handsets for the course of the festival, so keep your eyes (and ears) open. 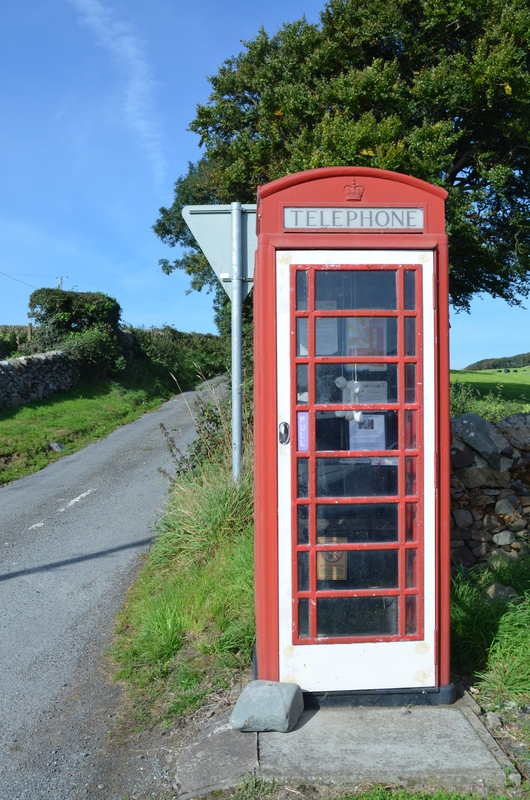 Start off in the County Buildings – and curious folk near the Bladnoch distillery should be sure and keep an eye out for a particularly nice telephone box. EAFS rocked up last weekend in Annandale and Eskdale – about as local as it get’s for me, and then to face the embarrassment that I actually didn’t make it to much, I blame fatigue after a week of madness and encroaching panic as the inevitability of the next projects started to wash up. 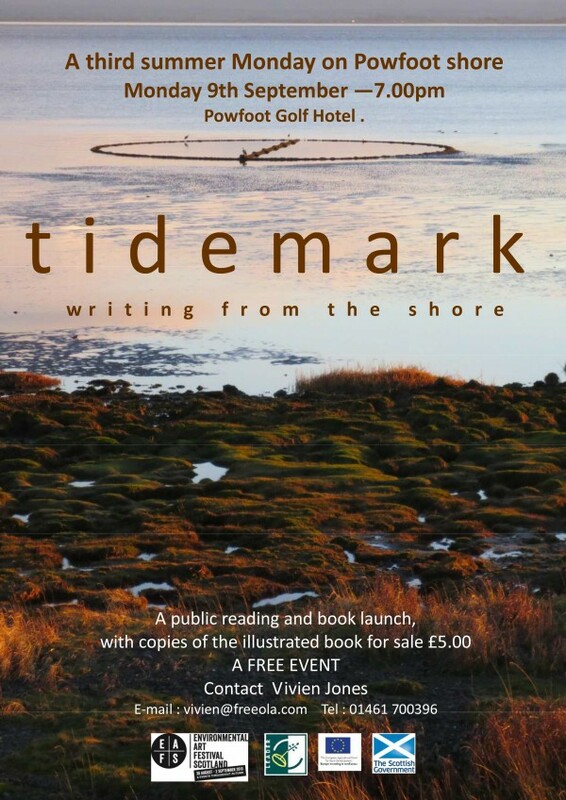 However, I did make it to the Tidemarks reading at Powfoot Golf Hotel. On the one hand, it was really quite strange seeing art-people in what to me is a non-art space, I ride with one of my furry four-legged animals out at Powfoot a lot, so for me it is a somehow seperate space – but it was also quite interesting to hear how everyone else sees the stretch out at Queensberry Bay and the rough stony beach up below the Broom. 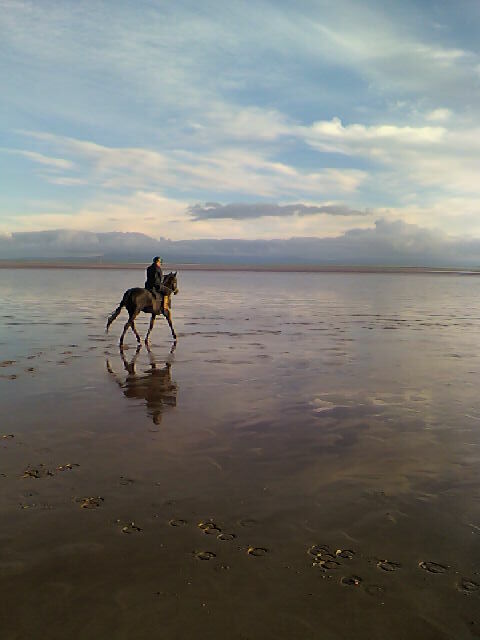 I was brought up with the knowledge that the Solway was a dangerous place, there are strong undercurrents, fast moving tides, dangerous sands – an inhospitable place really – and as such only ventured out onto safe areas when the tide was at it’s lowest. That has been gradually changing over the past couple of years, wading in the shallows as the tide comes in, exploring the fringes of the environment have increased as familiarity gave me (perhaps too much?) confidence. The flatness, the sense of scale is fantastic when you get out into it – it feels infinite. The light is beautiful at various times of the day and various weathers – it is both more wild and more calm out on the flats than it is on the shoreline. But I have already gone off on a tangent – Tidemark provided a creative writing platform for a mix of writers, both ‘independants’ and from various groups to come together, workshop a space and create individual responses – that actually came to feel like a collective voice. 24 voices contributed to the overall flavour. It was reflective, both natures impact on us and our impact on it. Afterwards found me back outside following what had clearly been one of those beautiful evening skies as darkness encroached. I’m rarely down by the shore in the dark. It has been interesting how the festival has gotten even locals looking at their environments from new lights (in my case literally) and new perspectives, and has endlessly surprised those less local with our regions beauty. I’ve heard a lot of pride for our place over the course of the festival. It set me thinking. Talking as we were about geology at one point and the history of the place, and our horses field being so sandy when it is dry, due to it’s previous life so close to the Solway, and it’s dune-like hills. Lying on the top of the hill watching the sun set from a new perspective reminded me of writings about the phenomena written about by James Turrell and Antoine de Saint-Exupery about the sky appearing as a vaulted ceiling (the exact name for this has vanished). From that slight convex position I could completely understand what they meant. My dear ponies nearly had a heart attack though, it seems they are not used to people lying about in their field. 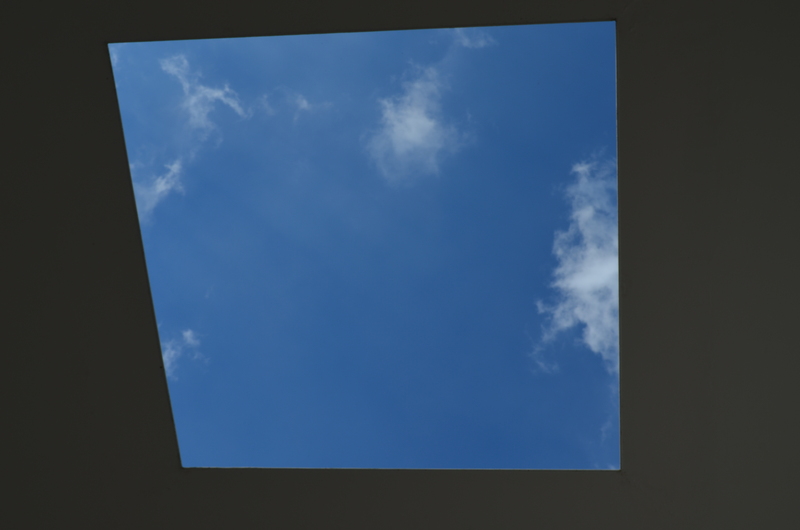 Turrell always pops up from time to time in my thinking, and this time may have something to do with my visit to the Yorkshire Sculpture Park last month. I was really excited to see Deerspace, on account of his works being hard to come by, but hadn’t accounted for the place being full of noisy children with crisp packets (note to everyone – stay well clear of that place on public holidays) so the appreciation for the space was somewhat lost in the pandemonium. However in some ways his work just set me up for ‘looking’ [what do I mean by ‘looking’ – more than just looking] at the space – his work was a viewfinder but once I had found the right focus could see without. His Skygarden work in Skibbereen – which was in the process of renovation when I visited – seemed to encapsulate my experience on top of the hill inspired by poets, he set up the structures for looking, the EAFS events set up something similar – less concrete perhaps, although Dalziel and Scullion’s Rosnes Benches surely must be on the same – structures for looking. Matthew Dalziel spoke at one of the events of his work being as the surfboard is when connecting with the waves. 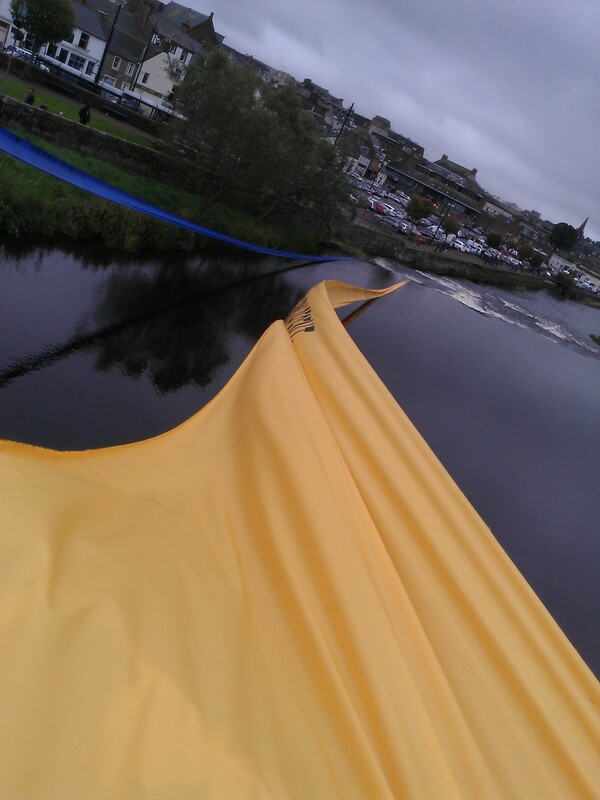 Site visit to Wigtown this week. It was a bit of a blur. If I’m honest I spent most of the morning trotting after Adrian (the book festival organiser), carrying half a mug of coffee around the town – it was probably the best way to get introduced to the sort of essence of what will be the festival in a few weeks time. 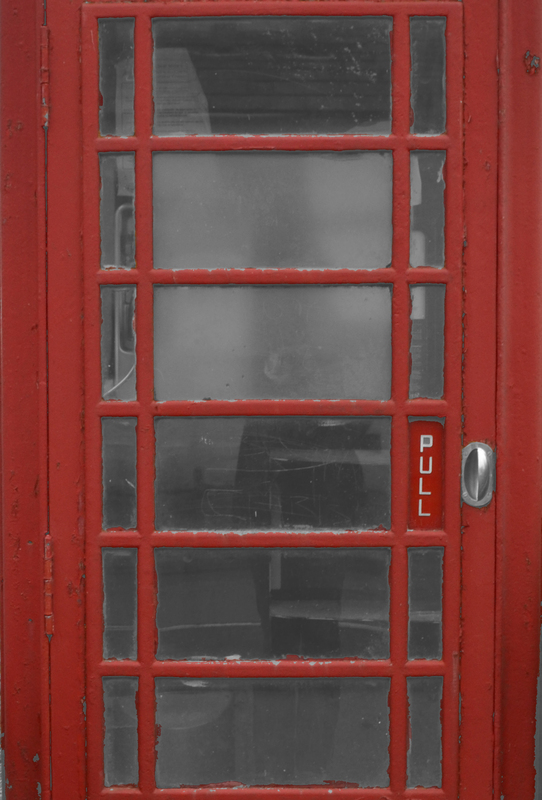 I managed to fit in a few phone boxes too. 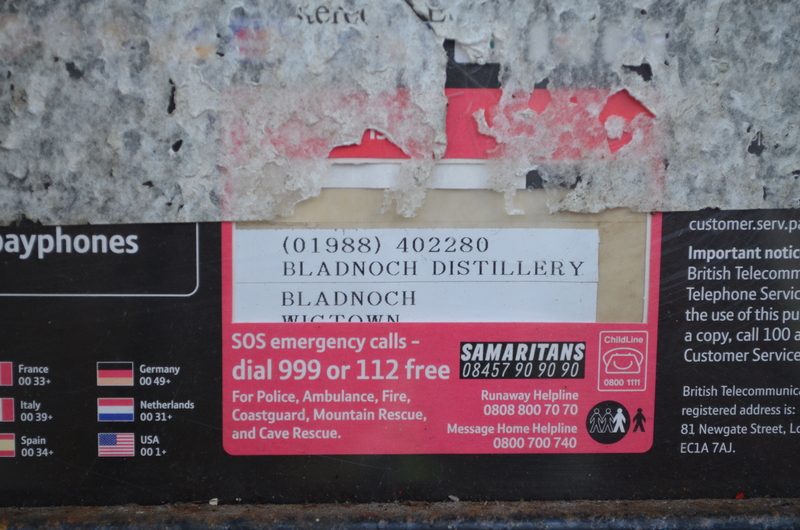 Bladnoch – now also known as the BEST phone box I have seen in an Aaagee. I’m in love. 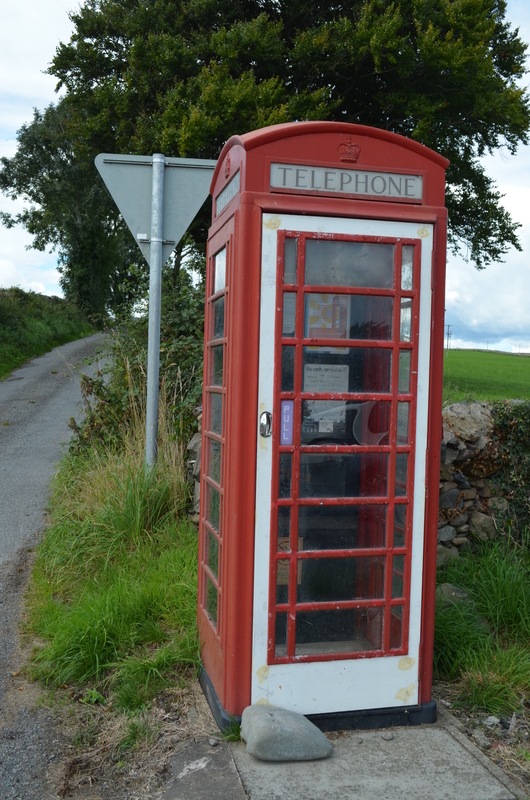 And Causeway End – about the most rurally sited phone box I have found on more recent explorations locally. The door is held shut with a big round stone, the poster inside informs anyone who notices that it too has been snatched up by the community council before it could be spirited away by BT. 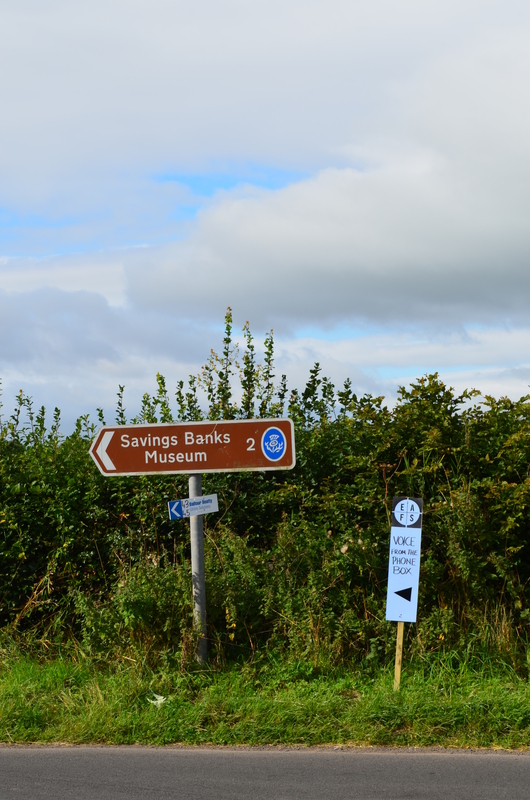 But, I don’t want to give to much away – needless to say, I’m much more excited about my project’s relocation to Wigtown for ten days as part of the annual Wigtown Book Festival (if you haven’t heard of it you really probably should have done…) There is plenty of work to be done! 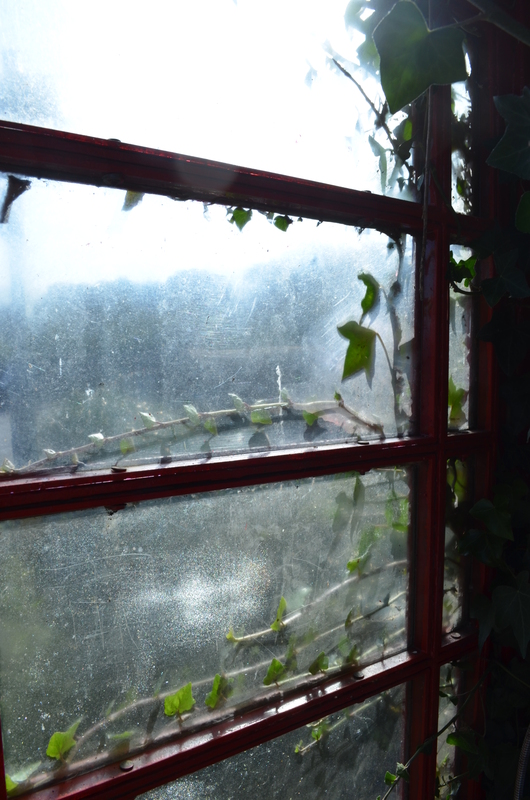 Causeway End Box – in the process of a loving restoration, note the new door! I think I need to spend more of my spare time editing photographs – it final reached bursting point, have spent the whole day tidying up. Out of that intensity is slowly emerging clarity. OBJECT. My obsessions centre on an intimate exploration of objects. To truly know an object, to create that familiarity that only comes with time. MEMORY. This informs the object. Informs the intimate, the curiosity. Joan Dodd. She sits on the local community council. 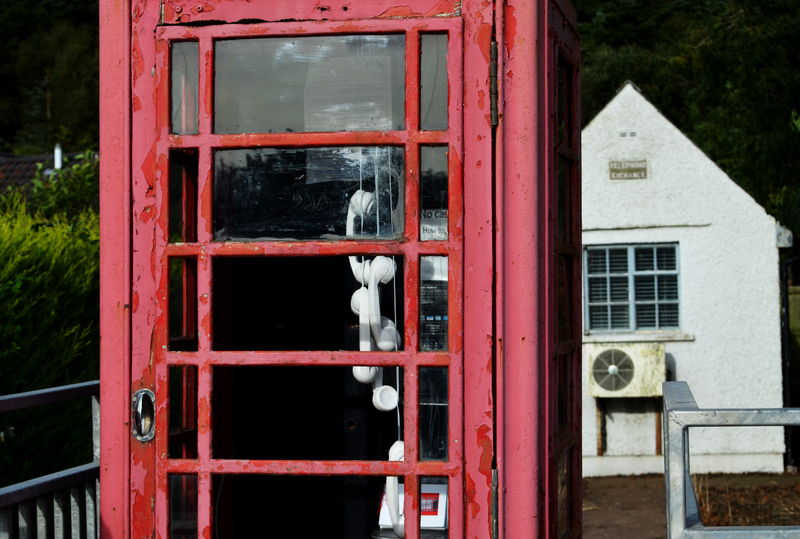 She couldn’t have lived it down if folk had turned up from out of the village to see an untidy phone box. She also keeps the bus shelter (on her patch). 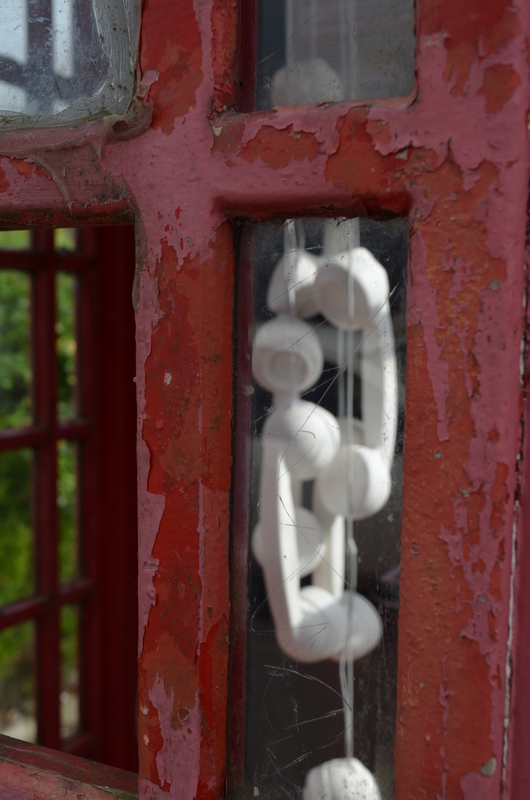 From her concern about the phone box’s fading paint – over the weekend an appreciation for the peeling paint emerged, as a representation of the dying object. 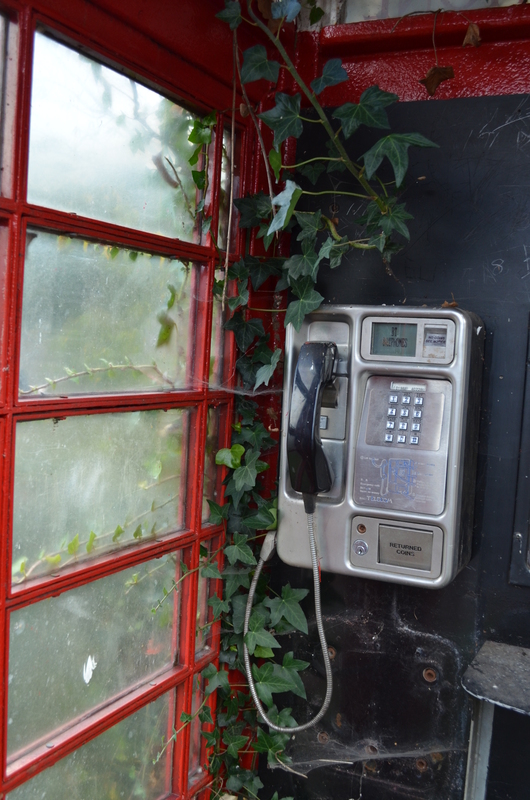 She didn’t think environmental art was for her until she came to know the phone box project. 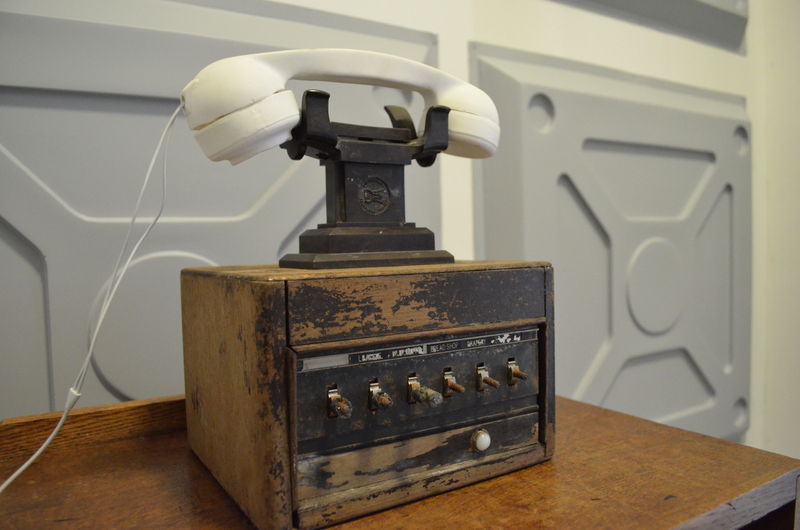 Two ladies recounted their experience to Fiona (the fantastic volunteer) of both squashing into the box together and laughing at memories gone by of their times as girls squashed into phone boxes. To Suvi goes my utmost thanks. Having travelled from Finland to witness the Festival, on her last morning she caught the various public transport required to drop her in Clarencefield, in a short gap before the return journey. It was great speaking to someone with a similar passion. 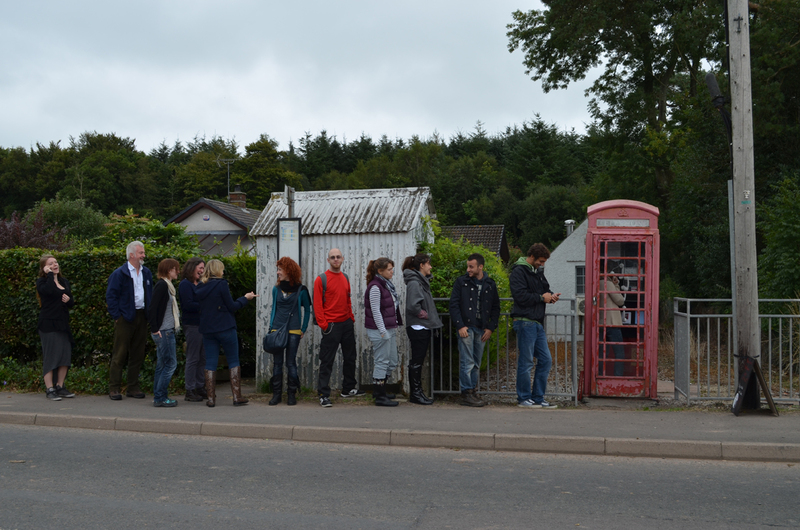 The longest queue in Clarencefield. I have since heard rumour of other, shorter queues throughout the weekend. Someone waiting behind my granny in the dampening weather on Friday gave up eventually (my apologies), but to all 11 of you in that queue on Friday – thank you for your patience! 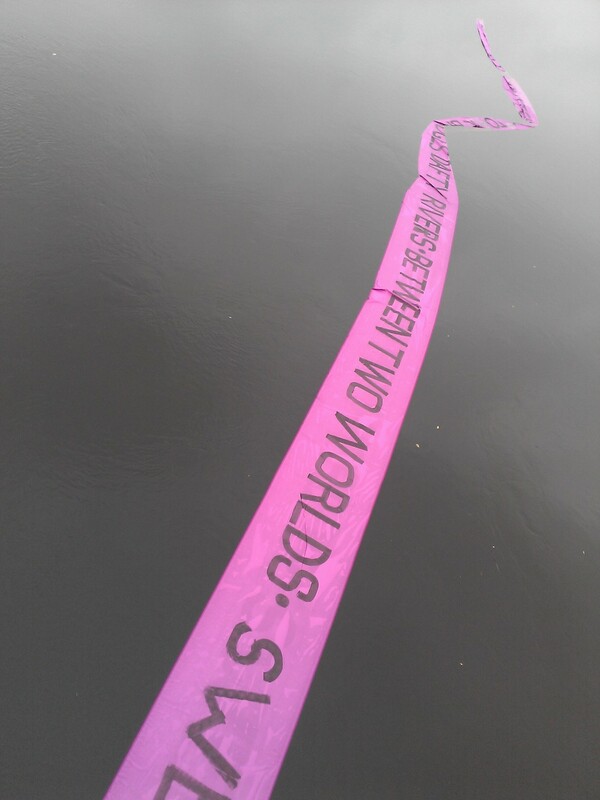 If you didn’t catch it at Clarencefield (you may be off my Christmas card list) – there will still be a chance to catch the next evolution of the project as part of the Wigtown Book Festival at the end of next month – just enough time to get organised! 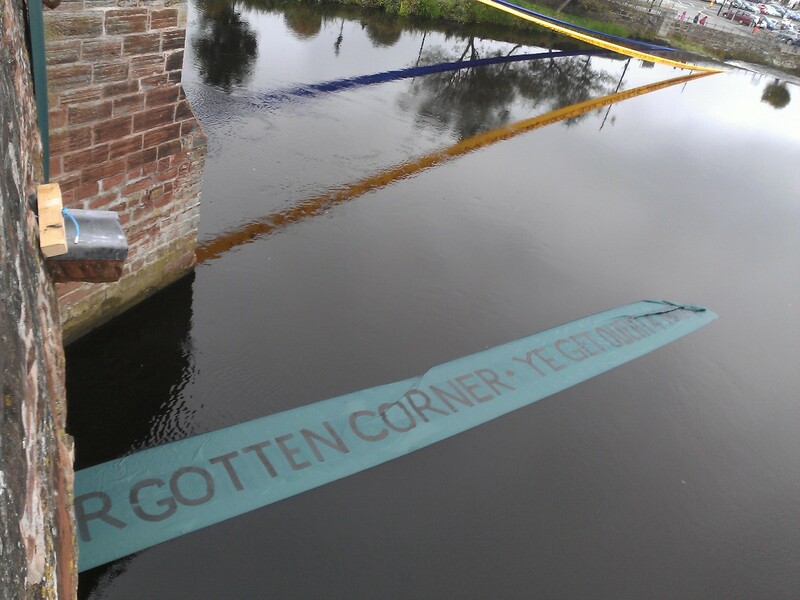 It’s been a bit quiet on the commonty this weekend – largely because everyone was outside – absorbed by the environmental arts festival, and so I thought on offering up some reflections on a long weekend saturated with amazing art, discussions, explorations, journeys (both literal and metaphorical perhaps?!) and discoveries. We would welcome reviews etc on the things you may have witnessed over the course of the last four days – what were your highlights (both artistic and otherwise)? – but in the meantime I would like to offer up a few initial reflections of my own – and others – gathered along the way. ‘The range of what we think and do is limited by what we fail to notice. 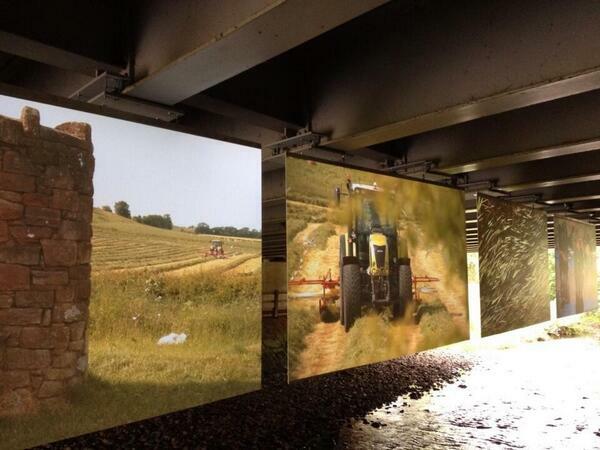 And because we fail to notice that we fail to notice, there is little we can do to change; until we notice how failing to notice shapes our thoughts and deeds.’ RD Laing as quoted by Mike Bonaventura – on the scope and potential of environmental art discussed in the Robert Burns Centre last night. In some ways, part of the journey to these works became an extension of the work itself. The more out-of-the-way sites had a sense of pilgrimage. 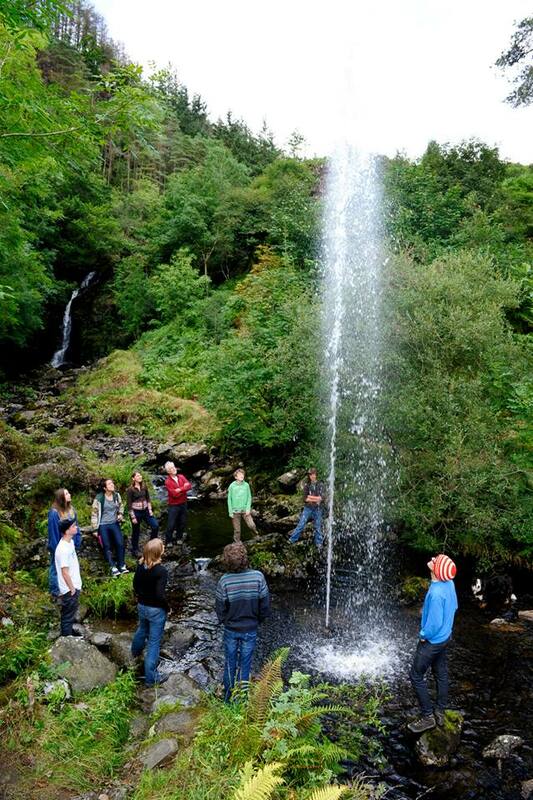 There was a great sense of a collective sharing of the festival experience. I left all the discussions with more questions. There is a lot more to be understood. Perhaps we may not be able to change the whole world – but possibly out little impacts on a small scale – our ‘operating in the cracks between over-government’ still give us the potential for change (following on the climate change conversations in Stormont Hall). As a participating artist – the positivity, the keen and the curious nature of folk and the welcoing attitude of festival organisers, contributors, audience members, visitors and the community/inhabitants was truly inspiring. D&G has not just the potential but the capability to produce a festival on a par with the more art central regions – ‘be part of something amazing’ – so contributions are invited ‘if we don’t send messages, they won’t be recieved’ (thanks for that one Ted Leeming) and apologies for anyone mis-quoted or incorrectly paraphrased – it’s been a long few days!